Early identification of the stakeholders within your organisation with the necessary capabilities, knowledge, experience and business insight is essential for effective preparation for an HR Technology project. Bringing their expertise into the process from the outset will ensure thorough consideration is given to all aspects of your HR tech project, and any risks, gaps and concerns can be addressed. While the breadth and depth of capability required may vary within organisations and depend on the complexity of the project, we believe having a blend of these 8 key players on board to help you prepare will be key to success. Special note: Many of the vendors require these resources to be significantly involved in this process. Their intent is that once the implementation is complete your resources will have the capability to manage the system ongoing (this includes system configuration, upgrades and report writing amongst others). This can be an overwhelming load on HR team members. The single most important person to get onto the team is the project sponsor. The more senior the better. We often hear that the project would not be considered important enough to get a member of the Executive or Senior Leadership Team. If it is positioned as an HR software project then that may be true. If the purpose of the project is positioned to address key business problems then you will have a different outcome. Note – Helping the business to more effectively manage its biggest expense (staff costs are on average more than 65% of a business expenses) should be enough in itself, but we are sure there are other more pressing issues which the project can be positioned to address. We all accept that in the new “world of work” the old notion “the only constant is change” is more accurate than ever. Yet there is rarely sufficient effort put into managing this change. For HR tech projects this is certainly true. Whilst the need for change management is often acknowledged, usually the tasks fall to an HR team member who is already busy with BAU and other project tasks. Not to mention they may not have the requisite skills, experience and focus. 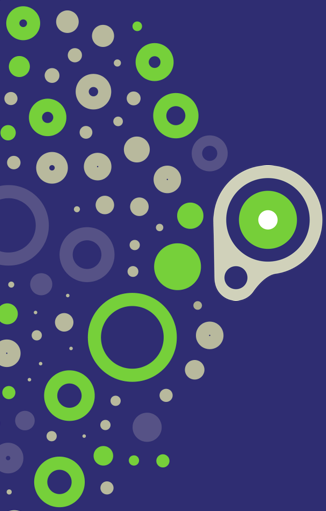 Software systems are like plumbing – the inner workings are generally out of sight, but when they don’t function properly, it’s a messy business. To make matters worse, vendors are rapidly evolving, differentiating their products and creating a lot of confusion. They also will not tell you all you need to know – for example the effort required to resource the project adequately – so it is a case of buyer beware! From project inception to successfully embedding the selected solution will take at least a year. In most cases it will take much longer. A project of this type is not dissimilar to building a house. You can select a builder without first engaging an architect, but you’re introducing a lot of risk and the end result will most likely not live up to your vision. Typically, we recommend someone from within the HR team who has a solid understanding of and credibility with the business as well as a passion for technology. Ideally this resource should be identified as the System Analyst at the beginning of the project and be involved throughout the implementation. In our experience gained from more than 300 cloud HR tech projects, the biggest risk to the successful delivery of the project relates to the availability of these resources. This is from both an effort perspective (i.e. how much time should they allocate for the work) and also for planning when and where they need to be brought into the project. To mitigate this risk, we recommend you focus on identifying the people you’ll require on the team and develop a detailed project schedule that reflects the expected effort, their responsibilities and when their involvement is required. This will mean taking into account work already completed, stakeholders to be engaged from across the business, the availability and capability of the resources, constraints (for example, other key projects, policy and regulatory constraints, standard operating environments and change management challenges) and the extent of the gap between the current state and aspirations for the future state. A good place to start with this is to find someone senior in the business who has done a project of this type before. Seek their advice on lessons learned and suggestions for who should be involved from across the business. Once you’ve identified the members of the team assemble them into a working group. This group can then evolve into the governance structure for the project implementation and potentially beyond. 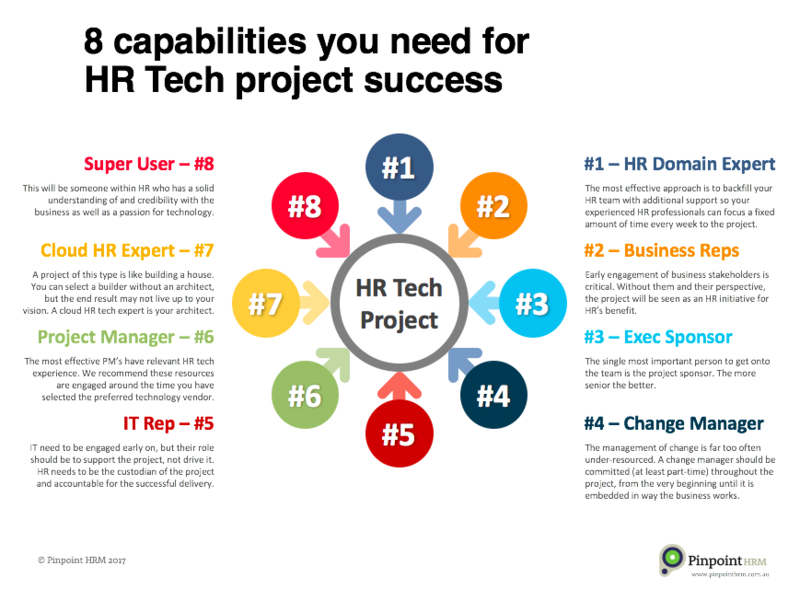 You may also be interested in a recent article we wrote – ‘How to be confident your HR Tech project is ready for success’. 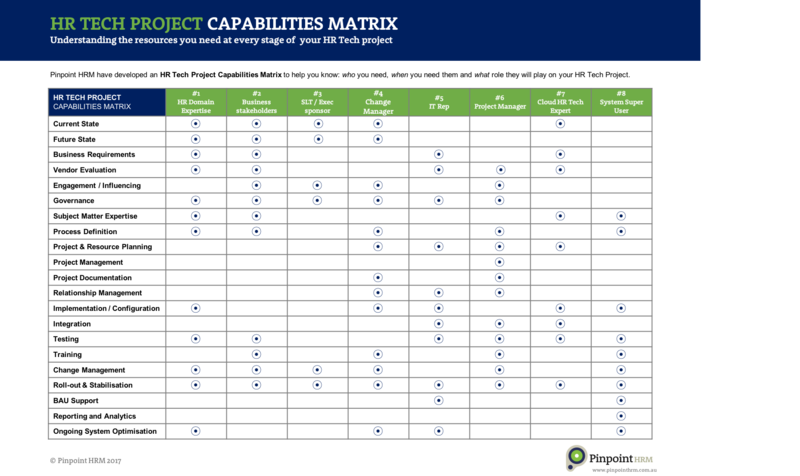 Pinpoint HRM have developed an HR Tech Project Capabilities Matrix to help you understand the key roles of the 8 players.